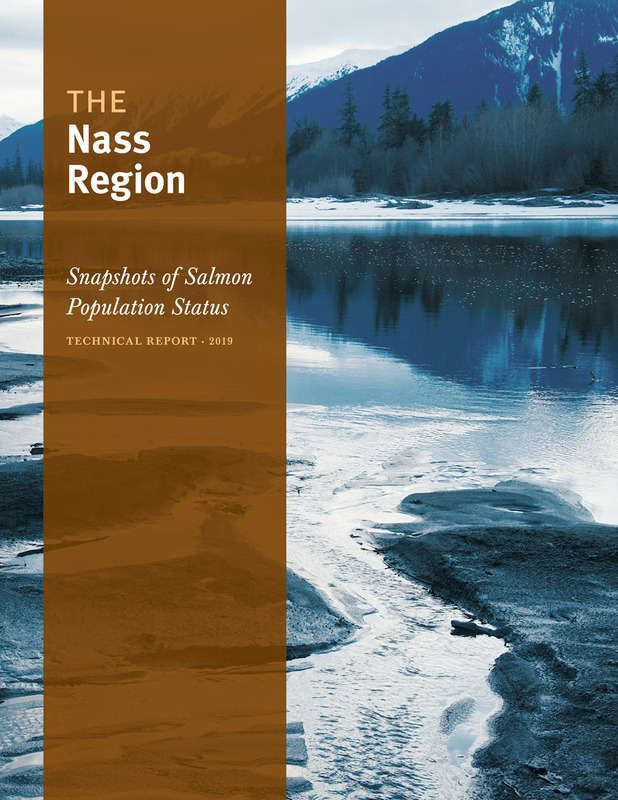 The Nass Region is the third-largest salmon-producing region in BC, providing extensive spawning and rearing habitat for more than 250 spawning populations of coho, Chinook, chum, pink, and sockeye salmon. While many salmon populations in the Nass are healthy and abundant, others are depressed, declining, or of conservation concern. Our ability to maintain healthy and thriving salmon populations depends, in part, on our ability to detect changes in salmon production over time, diagnose drivers of salmon population dynamics, and identify where and when conservation and management measures may be required in order to support salmon recovery. In an effort to assess the current status of salmon in the Nass Region, the Pacific Salmon Foundation collaborated with local First Nations, including the Nisga'a, Gitanyow, and Gitxsan, LGL Limited, and Fisheries and Oceans Canada (DFO) to assemble and summarize the best available data for describing the characteristics and dynamics of salmon Conservation Units (CUs) and make this information broadly, and freely, accessible to the public. Make all datasets broadly, and freely, available to the public via our Salmon Data Library. This project complements previous collaborations undertaken in 2015-2016 to assess pressures on freshwater habitats for Nass salmon CUs. Full project results can be found on the Pacific Salmon Explorer (www.salmonexplorer.ca).